Barnfield Road can be reached from Southernhay Road or from Western Way. The nearest car parks are Magdalen Road Car Park, Magdalen Street Car Park (both open 24 Hours) and Princesshay 2 open until 11pm. All these car parks are free to park after 6pm. 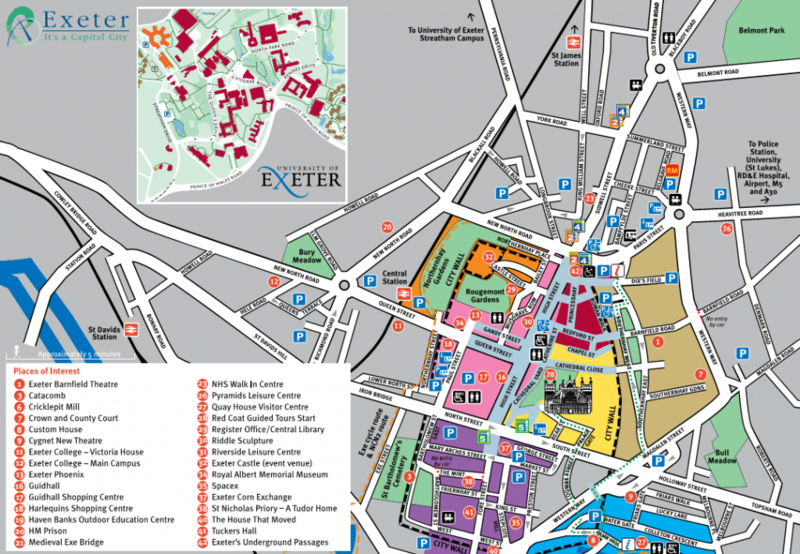 There are regular buses to Exeter High Street and Bus Station. The theatre is only a short walk away from the High Street, walk down Princesshay with the Debenhams building on your left. Continue walking, crossing Southernhay road. The theatre is situated halfway down Barnfield Road on your right. From the Bus Station cross Paris Street and walk past the Civic Centre on your left. Walk past Southernhay Church on your left, continuing down to the end of the road, turning left onto Barnfield Road. The theatre is situated half way down on the right hand side. From Exeter Central Station, turn left onto Queen Street, turn left to the High Street then follow the directions from Princesshay as above. There are also regular buses from Exeter St David’s Station to the High Street.